this isn't the first time i have posted about nail appliqués (you can see my Jamberry review here). 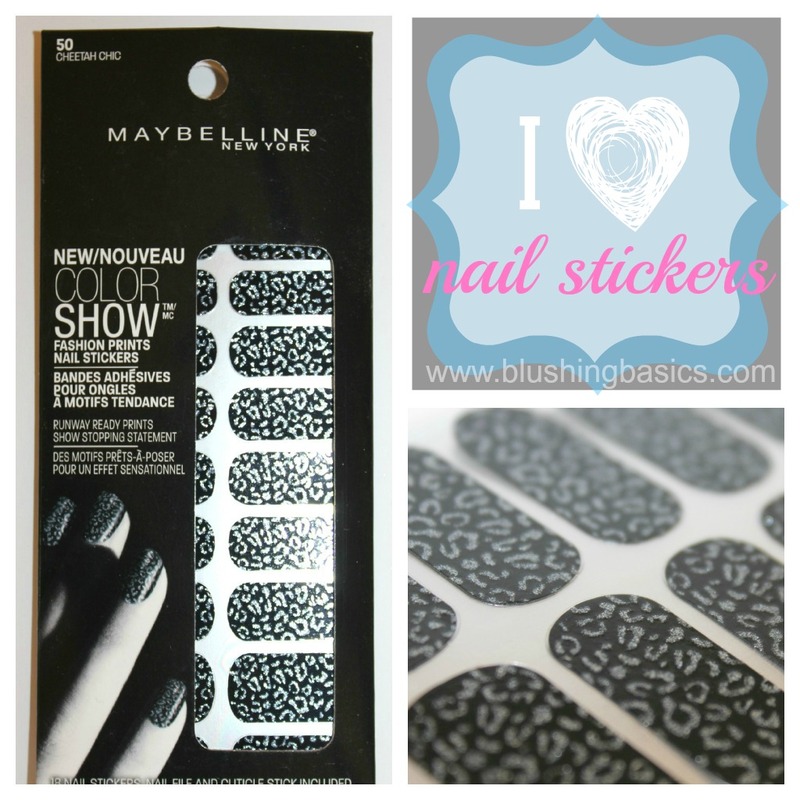 i love the fact that you can have high quality nail art in durable long lasting appliqués. 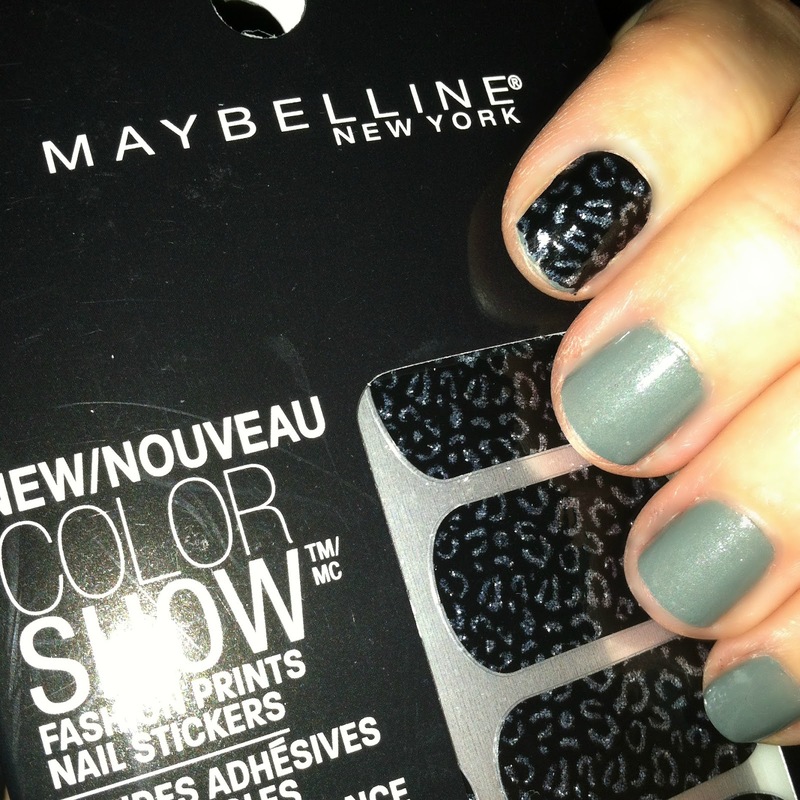 Maybelline just released these Color Show Fashion Prints Nail Stickers that are so easy to apply. simply select a sticker that best fits each nail, lay it over the bare nail and apply pressure using the cuticle stick, fold the spare top of sticker of nail tip and file away extra length. the official makeup sponsor of Mercedes-Benz Fashion Week (oh yeah, this girl was there) Maybelline is regarded as a cosmetic authority. releasing this product just in time for the holidays, this limited edition collection is hot, hot, hot. why do i love these nail stickers so much? i like that you can easily achieve any print, metallic effects are awesome and they resist chipping and tend to last longer than typical polish. below is an image of my nails 4 days into my mani, still looking good. pick them up at any major retailer - they'll make the perfect stocking stuffer. those ones are really cute! These are so good looking! I wonder if they have a shelf life ?